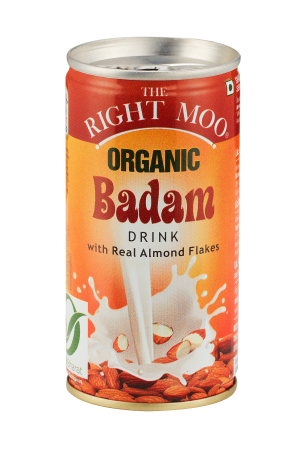 Organic Badam Drink is an excellent blending of Organic Milk, Organic Sugar, Almonds 1%, Cardamom Powder & Saffron. 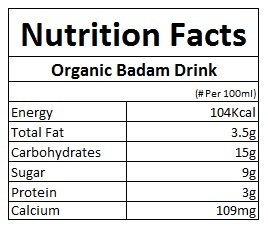 Our Organic Badam Drink is high in protein and Calcium. No synthetic/chemically made flavours added. No Pesticides, No Urea, No Aflatoxin M1, No hormones, No antibiotics, No GMOs, No heavy metals. Shelf life - 6 months. Best served chilled.